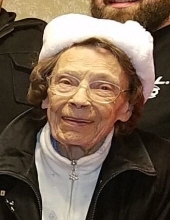 Janet Sausser of Dover passed away, Wednesday, March 20, 2019 at Westminster Village, surrounded by her loving family, 4 generations of women. She was 85. Mrs. Sausser was born October 3, 1933 in Morristown, New Jersey to the late Willis D. Pierson and Catherine M. Freckman Pierson. She worked as the Board Secretary for the borough of Oceanport, New Jersey and prior to that had driven a school bus for Oceanport as well. Mrs. Sausser enjoyed taking care of her grandchildren, traveling, cooking, reading, gardening and family gatherings. Mrs. Sausser is survived by her daughters, Dawn E. Sausser of Hartly, DE and Laurie M. Winner and her husband Rick of Supply, NC; grandchildren, Christopher Bastianelli and his wife Alisha, Jonathan Bastianelli and his wife Samantha, Jennifer Bastianelli, Corey Bastianelli and his fiancé Teresa, Elise Winner and Eric Winner; great grandchildren, Jonathan, Alexander, Lorelei, Brielle and Charlotte. To send flowers or a remembrance gift to the family of Janet Sausser, please visit our Tribute Store. "Email Address" would like to share the life celebration of Janet Sausser. Click on the "link" to go to share a favorite memory or leave a condolence message for the family.